17 HMR vs 22 LR: The Ultimate Battle and Which is Better! Are you confused? Wondering what’s better, 17 HMR or 22 LR? Today we will be discussing the advantages and disadvantages of 17 HMR vs 22 LR. We will be discussing about their ballistic performances, which is a better choice for plinking, small game, and varmint hunting. We will also be considering the price vs benefits test among the 22 LR and 17 HMR. 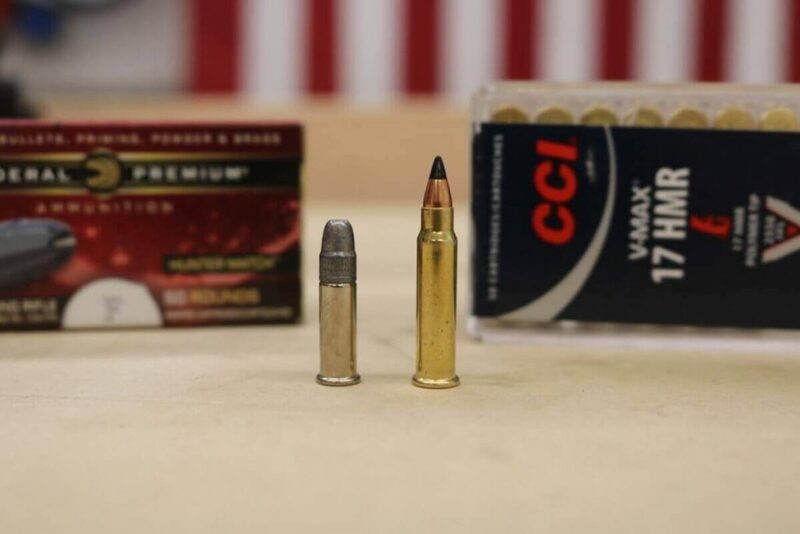 Let us compare the CCI .22LR Stinger vs CCI .17HMR TNT to keep things fair. 17 Hornady Magnum Rimfire or just 17 HMR is a rifle cartridge created by Hornady in 2002. The manufacturer wanted to replace old 5mm Remington Magnum Rimfire that was developed in 1970. 17 HMR was made by reducing .22 Magnum case in order to accept .17 caliber bullet. That was done with the intention to improve its ballistic capabilities. Usually loaded with .17 projectile which bullet reaches a speed of more than 775 m/s. 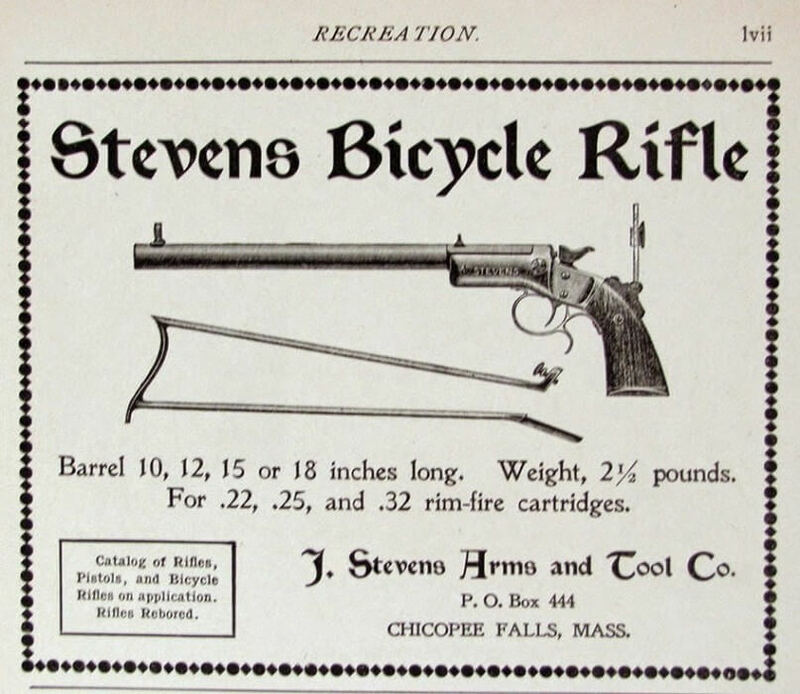 The 22 Long Rifle or just 22 LR is also a hunting rifle cartridge developed by American firearms producer J.Stevens Arms & Tool Company in 1887. It is almost a century and a half old. Obviously, the rifle has a much longer history than 17 HMR. 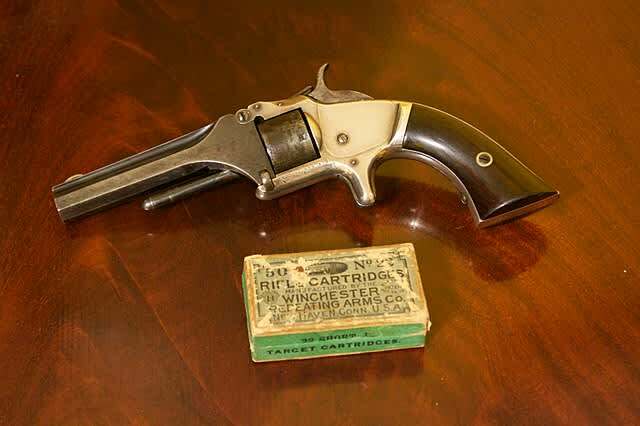 22 LR based its foundation on the 22 Smith and Wesson from 1857. The 22 Long Rifle and all other subtypes, such as 22 Short, 22 Long and 22 Extra Long use heeled bullets. As its name suggests, it uses the most common ammunition today – .22 caliber. Various firearms have been produced in this caliber including revolvers, pistols, submachine guns, rifles, and even smoothbore shotguns. 17 HMR is a relatively new rifle cartridge compared to 22 LR, and it has advanced capabilities and characteristics. In fact, Hornady developers necked down .22 magnum case to only .17. They took the strongest rifle case and redone it to new dimensions. But the length of the cartridge still stayed the same. Hornady wanted to increase the speed of .22 Magnum and decreased its weight to 17 grains. It has been serving for the purpose from the beginning, and the bullet is faster and more precise now. Thanks to this development, 17 HMR is now officially the fastest hunting rifle ever made. But 22 LR also has many advantages despite its long use and the date of the production. It includes the rifle’s affordability, low noise, and minimal recoil. It is an ideal solution for beginner firearm training, recreational target shooting, and similar activities. 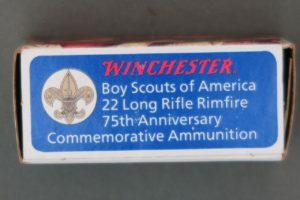 Its typically used by boy scouts in the US as their main rifle for shooting at merit badge. 22 LR rifle is equally popular among beginners who are still a part of the learning and training process, and among those with a high level of expertise on the matter. Low noise and recoil can stimulate beginners to train more efficiently falling in love with this sport. On the other hand, if the rifle is too loud and hard to manage, then that might have an opposite effect on those without previous experience with firearms. 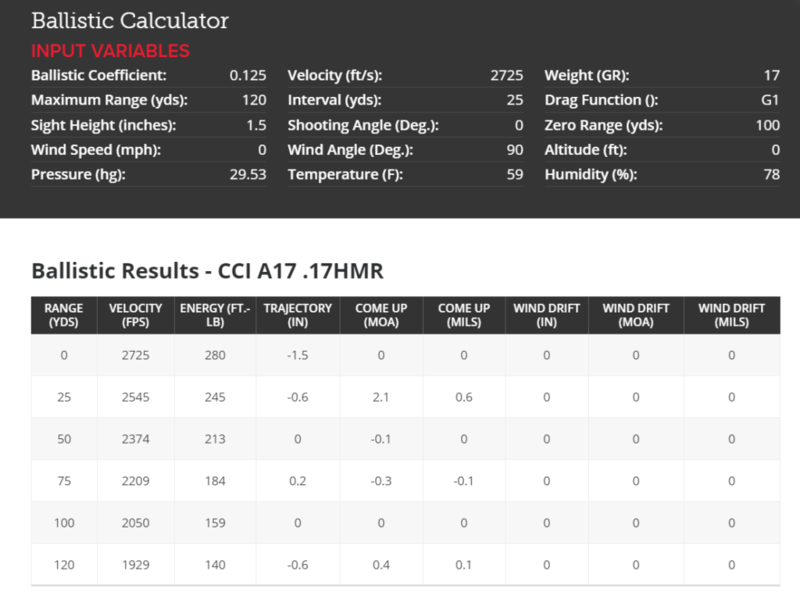 From here we can clearly see that the 17 HMR is faster and lighter than 22LR. 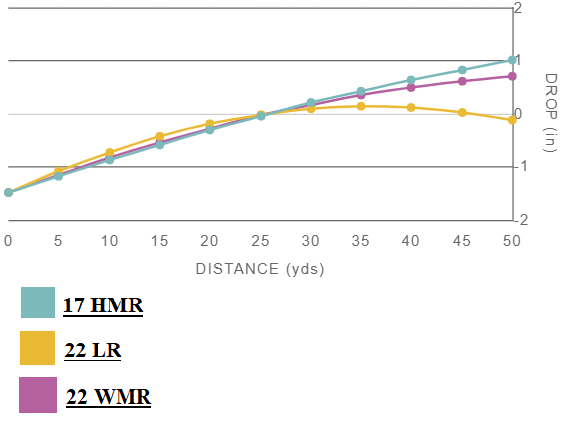 Also, when looking at the trajectory chart we can agree that it makes more sense to compare 22 WMR to 17 HMR as they’re somewhat closer in stats. In the case of 17 HMR, the bullet trajectory is fully flat to 100 yards (due to its high velocity), but there’s a huge drop in the case of 22 LR. Though the 22 LR is a great choice for hitting targets under 100 yards but 17 HMR is what you’ll need to hit those targets at 125-175 yards. 22LR drops a lot after 100 yards but 17 HMR shows the slowest drop and has a flatter trajectory as compared to the 22LR’s. Moreover, 17 HMR is way accurate than 22 LR. Thanks to its speed which makes it a better choice. When searched online, the average cost of 17HMR is $15 per box containing 50 rounds, and it’s $5 per box in the case of 22LR. Apparently, 22 LR is a choice of many because it’s very affordable. As discussed in the earlier section, 17HMR is worth the price but in the case of plinking it totally depends on your preference. The 22LR is a good choice for plinking and small game hunting within the range of 75 yards. In case you’re looking for high accuracy and want to hunt down small varmints at 100-125 yards, the 17 HMR is a better choice. 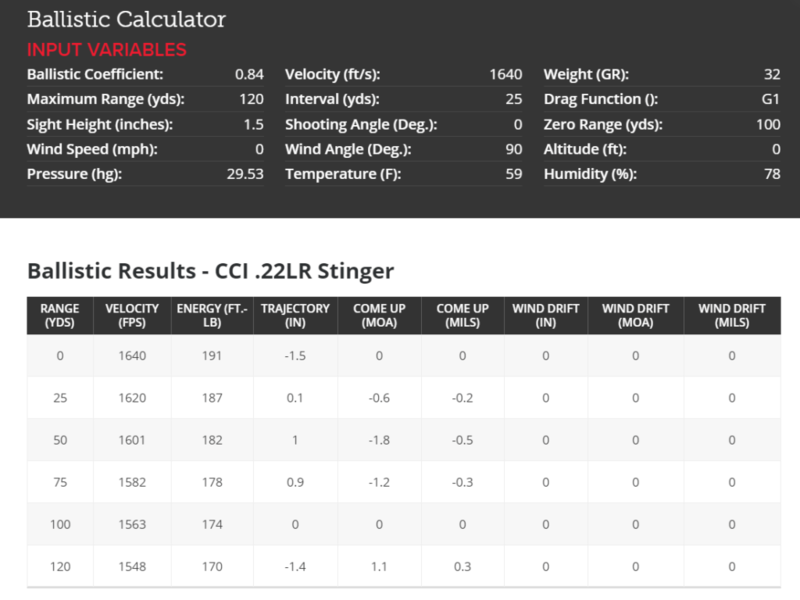 If you’re looking at 22LR for high accuracy, then you’ll have to spend more on ammo like CCI .22LR Stinger. 22 LR is probably the most affordable rifle on the US market today, and it is hard to find an ideal match when it comes to costs and versatility. 17HMR rifles, on the other hand, are powerful but are a pain to clean because of the narrow barrel they come with. The choice depends on your preference, if you’re looking for a cheap yet versatile ammo for plinking and hunting at shorter distances then 22LR is the practical choice. If you’re all about accuracy, then 17HMR is the best choice. As we discussed earlier, 22LR is a good choice for hunting small games within 75 yards, 22LR is an overkill if used at such distances. If you’re looking for meat, the 22LR is a great choice for hunting squirrels, rabbits and birds within 75 yards. 17HMR, on the other hand, would destroy the meat in such smaller distance. With a 17HMR, you can easily take down groundhogs, rabbits, raccoons at 175 yards, thanks to its high speed and accuracy. Don’t even think of hunting bigger games with them. It is even prohibited to hunt deer with such small bullets in the US because you would just end up wounding it, and the animal will stay alive in the woods to suffer from bullet injuries. 17 HMR is usually too small for coyote hunting, but it can be used successfully for groundhogs. Those who use this cartridge for coyote or wolf hunting, they target their heads. That is how they succeed to kill them. Small bullets cannot kill big animals easily. If you shot at some big animal or a full-grown man, there is a high probability that they will stay on their legs. Hence, they’re not a great choice for self-defense either. There is no doubt 22 LR cannot compare with 17 HMR when it comes to shooting from larger distances. 17 HMR due to its high velocity makes much more noise than 22 LR, and they are overly loud. Even 17HM2 is louder than 22LR. Get ear protection or your ears will be ringing. A .22 bullet is more likely to ricochet and that is another issue. The 40-grain bullets are not always destroyed when it hits hard materials because they are not fast enough. Check out this video to see a 22LR ricochet. A moderate speed of 1,250 feet per second is not enough to tear down such a bullet. The same case is with the 32-grain Stinger 22 LR projectile, which is a little faster. Its effective range is somewhere around 100 yards while muzzle velocity stands at 1600 feet per second, Muzzle energy is 191 foot-pounds, but the ricochets still happen sometimes and that is a problem again. However, a .17 bullet is much faster than its counterpart and ricochets are less likely to occur. The 17-grain projectile reaches a much greater speed that goes over 2,250 feet per second, and it is usually destroyed after striking hard materials and objects. That is clearly one more advantage of 17 Hornady Magnum Rimfire in comparison with 22 Long Rifle. I would say, 17HMR is safer than 22LR for pest control only because they have got a lesser chance to ricochet. The popularity of 22 LR has not fallen with the development of 17 HMR. It is still the most common rifle in the United States today, and millions of them have been already sold. Its bullet is even more popular, and it reaches billions of sales on a yearly basis. On the other hand, 17 HMR does not have so many sales and that is where it falls in comparison with 22 LR. Regardless of better performances by the 17HMR, 22 LR still holds the first place when it comes to popularity. There are several trendy brands of 17 HMR rifles such as Henry, Ruger, Alexander Arms, and Savage. And all are currently available for buying in various firearm shops. Some of them will be mentioned here. The list below presents five best 17 HMR rifles on the market. They are all the same quality level and their positions on this list mean nothing at all. The first place belongs to the Savage B-Mag Rifle developed by one of the greatest industry brands – the Savage Firearms company. This 17 HMR rifle is an ideal solution for short-game hunting and those who are at the beginning of their hunting journey. The Savage B-Mag Rifle is great for recreational and target shooting as well. It has a 22-inch barrel that is very simple to manage, clean and adjust. The rifle also looks basic and straightforward without unnecessary details on it. That is helpful for those without previous experience in hunting for those who are still in the learning process. The Browning T – Bolt takes the second place on this list. It is easy to handle while the design is pretty nice. This rifle is also great for small game hunting with an ideal caliber to finish it successfully. The Browning T – Bolt also has a 22-inch barrel and the simply adjustable trigger that makes it easy to use. A chamber for ammunition is one of the great features that come together with the rifle in the same package. It is helpful for improving accuracy during shooting. The Alexander Arms .17 HMR is an advanced rifle with a very interesting design, great abilities, and features. It looks much more like Colt Ar – 15, than like other small caliber rifles. But its functionality is also quite more similar to AR – 15, and except for .17 caliber, it can fire .223 caliber bullets as well. That means you can use it for both small game and big game hunting journeys. With .223 caliber, you can kill Coyotes, Wolves, and even deer in some cases. There are also some really great 22 LR rifles available out on the market, and a few are going to be mentioned here too. The Browning SA-22 rifle takes the first place among 22.LR rifles. Its design is very nice with fine wood and quality steel, making an attractive combination. This rifle is a great weapon for small game hunting. It is easy to manage and simple to break up on two separate parts without any tool. The price is above average though. The rifle costs $600, but it definitely worth every penny. Its weight stands at 5.19 pounds. If you want a beautiful but efficient rifle, this might be the right choice for you. It is a classic hunting rifle made of high-quality materials. Ruger 10/22 is the second on the list among 22 LR rifles. It is quite more affordable than Browning SA-22, and its price currently stands at $210, which is pretty cheap considering its features and capabilities. This rifle is a favorite solution among recreational shooters and beginner hunters. They can enjoy the sport with low costs. They can buy it cheaply, and they can feed it cheaply as well. Its ammunition is the most affordable on the market. That is a standard .22 projectile that has a very low price, and many love it because of that. Ruger 10/22 is slightly lighter than the rifle above. Its weight stands at 5 pounds. The KIDD .22LR Classic Ultra Lightweight Sporter Rifle is a quite different weapon than other 22 LR rifles and it is regarded as the best among them. It weighs 4.9 pounds while the rifles above are slightly heavier. The rifle’s trigger is highly adjustable, and you can accustom it from 1.5 pounds to 5 pounds. The price of $1150 is the only drawback when it comes to this rifle. But considering its performances, you will definitely get a high-quality weapon with great features. 17 HMR looks like a better choice for professionals according to all details. 22 LR is a better solution for amateur hunters and recreational shooters that want some simple and affordable variant. 17 HMR is much louder and the ammunition has a higher price, which means the costs go up. On the other hand, they will get a more precise rifle with a significantly larger range of fire and that means everything when it comes to hunting. Often ricochets might also be a concern with .22 caliber, especially with target shooting that involves a larger number of people in the surrounding. That is probably the biggest drawback here. You can harm someone that way, so you have to be careful while using this rifle for such type of shooting. The target should be far away from other objects and humans. Only then, you can be certain with this ammunition. If you properly eliminate the danger of ricochets, then that would change everything. 22 LR is very affordable for using, and the ammunition is cheap, which is great for recreational shooting. When you compare some models of 22 LR and 17 HMR, you see that both cartridges have many to offer and that there are many great rifles that use those calibers. Some 17 HMR rifles can use different and bigger calibers, which is even better. You can adjust such rifle in accordance with your needs, and that is a great thing for a professional hunter. So, the choice is freely yours, and this review is here to help you to choose the right one for yourself. 22 LR is considered a pretty weak cartridge with a low penetrating power, but it can still achieve many things. In fact, its impact is much stronger than what a lot of people think, and the bullet can break through 10 drywall panels from a 10-yard distance. Not bad at all, but when it comes to comparison with 17 HMR, 22 Long Rifle is a weaker solution. The 17 Hornady Magnum Rimfire’s projectile reaches longer distance, and it is more accurate with stronger impact. Due to the higher price and the high velocity, 17 HMR bullets are expected to work way better than the 22LR. So, you read it all! The choice totally depends on your preferences, for some 17 HMR will be the best choice over 22LR and for some, it would be the other way around. The 22LR is your best bet if you’re a beginner or if you need cheap ammo for general plinking or you’re hunting small animals within 75 yards and want to keep the meat. If you’re the guy looking for amazing accuracy at distances up to 125 yards and want to hunt down the small critters, then 17HMR is the best choice. If you’ve any questions or suggestions please comment below and i’ll get back to you. Photo By Mikehelms [CC BY-SA 3.0], from Wikimedia Commons. Thanks for the excellent article. I’m leaning towards the .17HMR. However, as I am a beginner at rifle shooting, I’m only interested in shooting paper/metal targets. 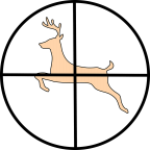 In your opinion, what is the maximum target shooting distance for the .17HMR; also,what type of scope application would you recommend for the .17HMR. Thank you very much. Hi, thanks for commenting. Since you are a beginner and you’ll be plinking, I would suggest to go with the 22LR, since it’s beginner friendly and the setup itself is a lot inexpensive than others. The max effective range for a 17 HMR is 250-300 yards and it’s well accurate. It will be a great choice for target and varmint hunting. Talking about scopes, it depends on your budget. If budget is not an issue, then the Nightforce NXS is the best overall. The Mueller APV is another good choice if your budget is below $150. Let me know if you’ve more questions. 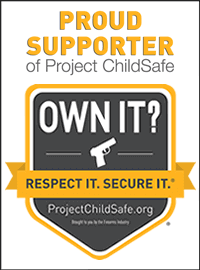 Join Us & Support the Second Amendment!